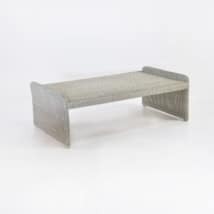 Simple, stately and splendid; the Madison Outdoor Wicker Coffee Table is a fitting choice for in your home or complementing your outdoor seating area! 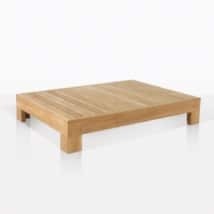 At 39 inches squared, at a low height of 15 inches, this is a Great surface area perfect for serving drinks and canapés. 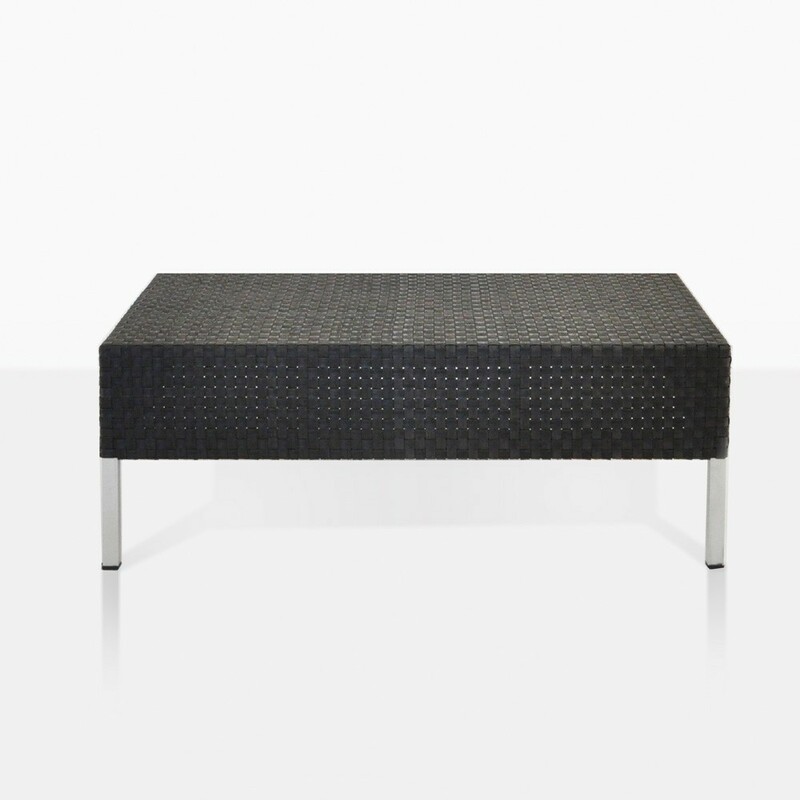 With its clean lines and chic fabric, the Madison Outdoor Wicker Coffee Table is the perfect piece of furniture to suit inside or out. 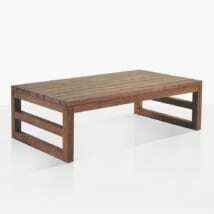 Place in your office for a superb morning meeting point. Or create a central focus for your Madison suite by placing the Madison Outdoor Wicker Coffee Table in the middle of your garden, framed by a Madison Sofa, two Madison Club Chairs and a Loveseat… the ultimate spot for quiet relaxation or for hosting your friends for big, delightful gatherings where you can wine and dine in style. As part of our exclusive Madison Collection; exploring the idea of contemporary grandeur with its airy look defined by the sleek lines and luxurious fabrics. 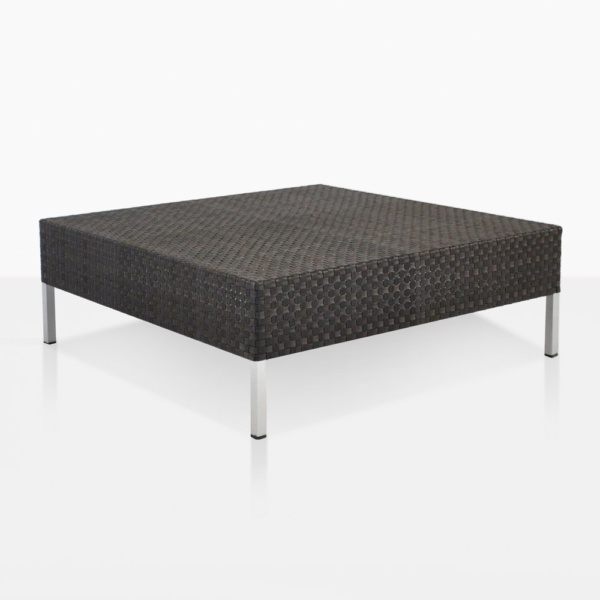 Each piece of the Madison suite is lifted off the ground with thin, frosted legs giving the appearance of floating in space. The all weather Viro® wicker is wound tightly around a long and lean powder coated aluminum frame, ensuring a quality outdoor product that you will enjoy for years to come. Viro® is through-dyed, UV treated, and is incredibly strong; there’s a reason why it is one of the most celebrated polyethylene-synthetic product on the planet! 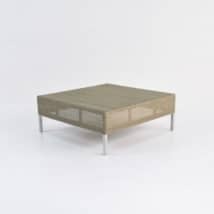 The Madison Wicker Coffee Table is available now, ready to be sent to your home!